Fri., 17 May - Tue., 4 Jun. Wed., 14 Aug. - Wed., 28 Aug. Tue., 13 Aug. - Sun., 1 Sep. Thu., 22 Aug. - Thu., 12 Sep.
Fri., 5 Jul. - Sun., 21 Jul. Thu., 17 Oct. - Fri., 1 Nov. Sat., 31 Aug. - Sat., 21 Sep. Thu., 30 May - Sat., 13 Jul. Sun., 1 Sep. - Mon., 30 Sep.
See all 142 properties in El Alto Intl. 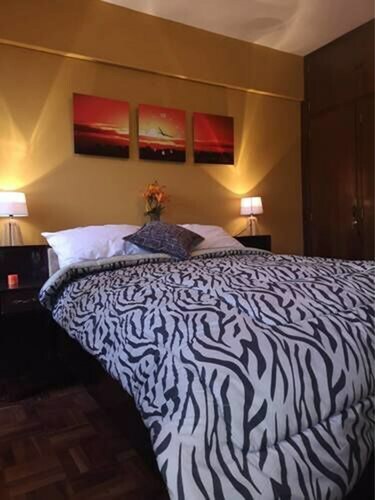 Situated in El Alto, this bed & breakfast is within 3 mi (5 km) of Cementerio General, Juan XXIII Hospital, and Witches' Market. Coca Museum is 3 mi (4.9 km) away. 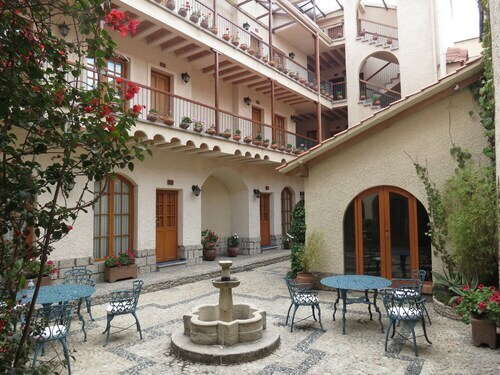 Located in the heart of La Paz, this hotel is within 1 mi (2 km) of National Museum of Archaeology, San Francisco Church, and Plaza Murillo. Witches' Market and Parque del Monticulo are also within 1 mi (2 km). Camacho Cable Car Station is 8 minutes by foot and Teatro al Aire Libre Cable Car Station is 8 minutes. 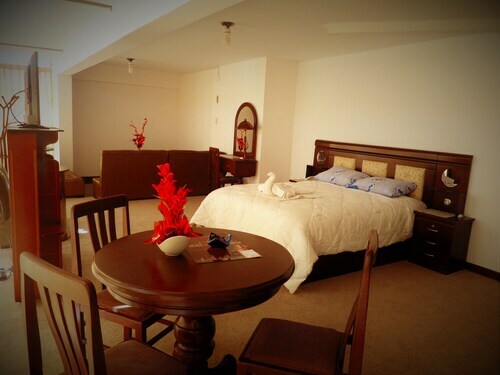 Situated in El Alto, this hotel is within 3 mi (5 km) of Cementerio General, Juan XXIII Hospital, and Witches' Market. Church of San Pedro and Tambo Quirquincho Museum are also within 3 mi (5 km). 16 de Julio Cable Car Station is 18 minutes by foot and Cementerio Cable Car Station is 25 minutes. 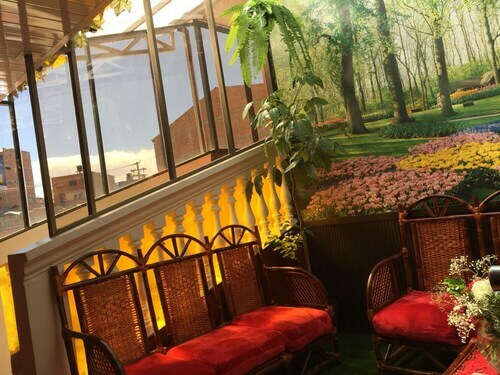 Situated in El Alto, this bed & breakfast is within 3 mi (5 km) of Cementerio General, Juan XXIII Hospital, and Witches' Market. Tambo Quirquincho Museum and Coca Museum are also within 3 mi (5 km). 16 de Julio Cable Car Station is 6 minutes by foot and Plaza Libertad Cable Car Station is 10 minutes. Situated in El Alto, this apartment building is 2.4 mi (3.8 km) from Juan XXIII Hospital and 2.7 mi (4.4 km) from Cementerio General. Tambo Quirquincho Museum and Witches' Market are also within 6 mi (10 km). Plaza La Paz Cable Car Station is only a 4-minute walk and Plaza Libertad Cable Car Station is 10 minutes. 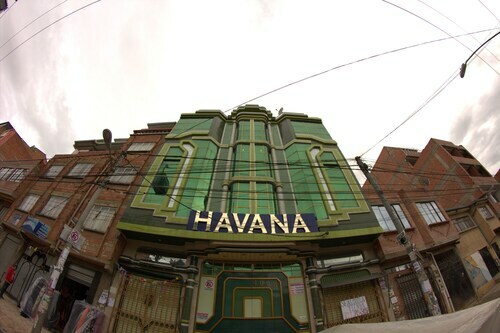 Situated in El Alto, this hostal is within 3 mi (5 km) of Cementerio General, Witches' Market, and Coca Museum. San Francisco Church and Plaza San Francisco are also within 3 mi (5 km). 16 de Julio Cable Car Station is 23 minutes by foot. 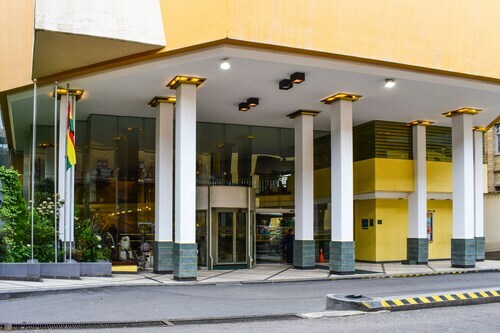 Situated in La Paz, this hotel is within a 10-minute walk of Witches' Market, San Francisco Church, and Plaza San Francisco. National Museum of Ethnography and Folklore and La Paz Metropolitan Cathedral are also within 15 minutes. Central Cable Car Station is 11 minutes by foot and Camacho Cable Car Station is 17 minutes. 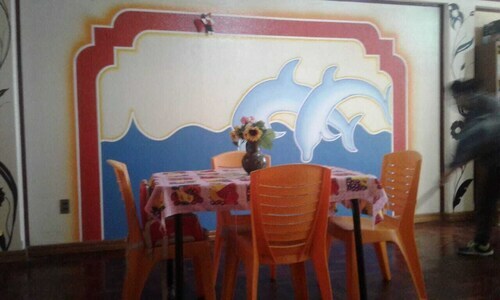 Situated near the airport, this hostel is within 1 mi (2 km) of Cementerio General and Juan XXIII Hospital. Witches' Market and Tambo Quirquincho Museum are also within 2 mi (3 km). Cementerio Cable Car Station is 7 minutes by foot and Central Cable Car Station is 26 minutes. Question : How long do most people stay on their visit to La Paz on average? Answer : Of course, you're not most people, but if you were, you'd stay about 23 days. Question : How much is a plane ticket to La Paz (LPB) from Montreal (YUL)? Answer : Cost can range from $885 to $1,516, prices for YUL to LPB change less than the majority of routes from Canada. Prices tend to be lower the further out you book. Answer : You sure can and you may save yourself some money by doing it. The lowest-cost day to fly in April is Tuesday. Flexibility is key when booking travel plans in order to keep costs down. Answer : The cheapest day to fly from Montreal to La Paz is on Tuesday. If you want to save some money on your next business trip look for flights on that day. Question : What is the cheapest airline flying from Montreal to La Paz? Answer : Air Canada is offering the best deal at $885. Better book your ticket fast because prices range all the way up to $1,516 over the next three months. Question : What is the cheapest date to fly to La Paz? Answer : Tickets are currently $1,341, 6% less than the average price for this route. 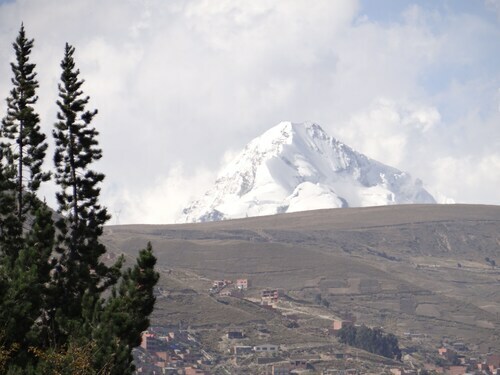 As of Apr 15th, the cheapest day to fly from Montreal to La Paz is May 8th.